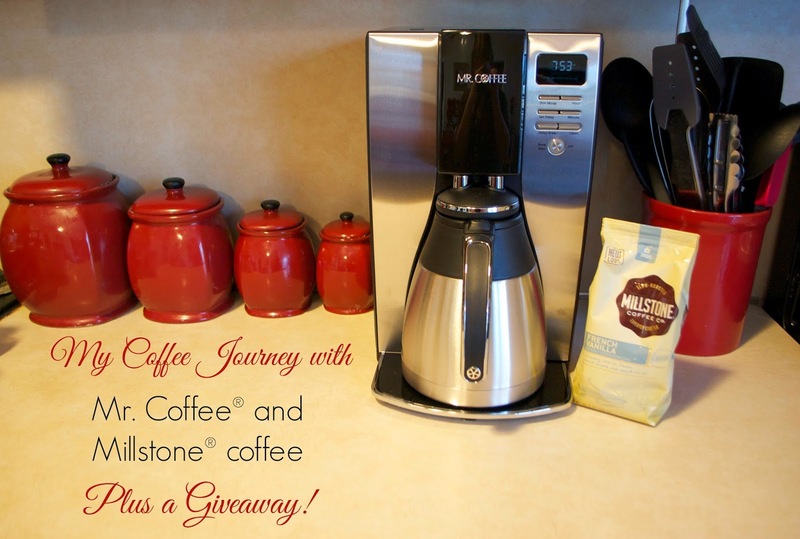 #CoffeeJourneys with Mr. Coffee® and Millstone® coffee: Drip Coffee Maker and Flavored Coffee GIVEAWAY! Most of my mornings involve coffee in some form or another. I often enjoy my morning coffee brewed from home, but sometimes I'll grab an iced coffee or hot coffee from some coffee place on my way into work. I try to brew more at home than out since buying coffee out can really add up in price. Sometimes I just get lazy though and want yummy coffee quick and buy out. I guess one incentive to having more coffee at home would be having the best coffee maker to brew it with with huh?? 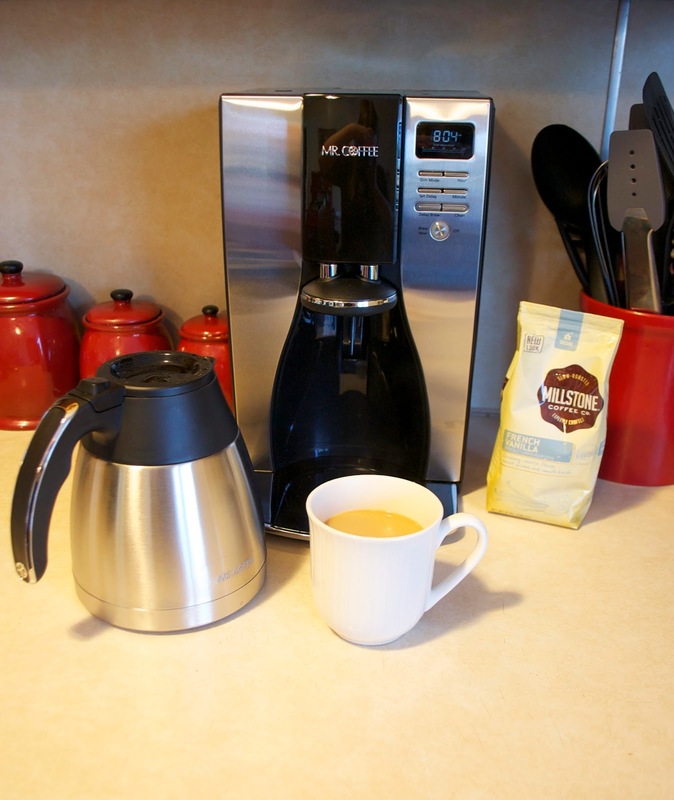 Well I've been brewing a whole lot more coffee at home lately after heading to Walmart to purchase and try out the Mr. Coffee®10-cup Optimal Brew™ Thermal Coffee Maker! Check out that bad boy (first silver one on the left)! Also, notice there are only two boxes left on the shelf? Well I bought them both and have one to giveaway too so keep reading! I also bought some Millstone® coffee to try and giveaway as well - I got French Vanilla which is a lighter roast that's right up my alley! I've always liked coffee but sometimes feel that others think I am not as "gung-ho" of a coffee drinker as some because I like my coffee with a lot of cream and a lot of sugar. Really though, just because I don't drink my coffee black doesn't make me any less of a coffee lover or any less entitled to enjoy a good cup of coffee. 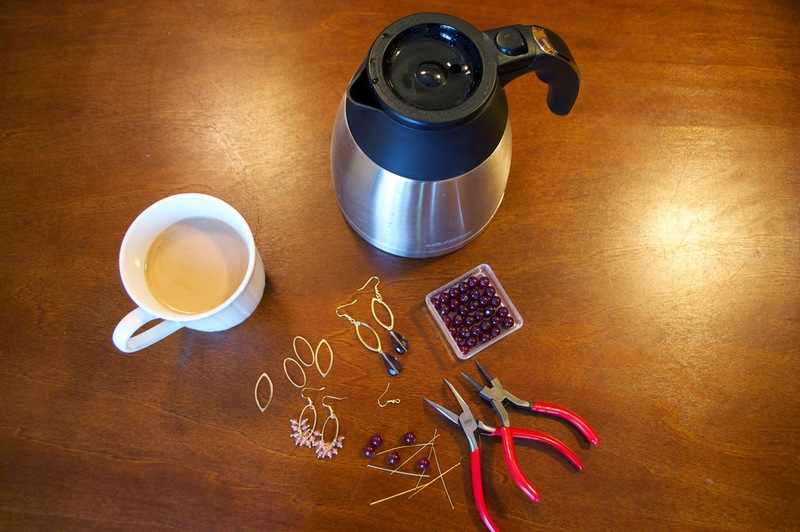 As a nice little pick-me-up while crafting :) With the thermal coffee carafe I don't have to worry about my coffee getting cold while I craft: I just pour as much as I need out at a time and then refill with the coffee carafe as I need more. No need to venture out of my craft room for anything! ...Well. Except for when I have to pee from all the coffee I'm drinking! 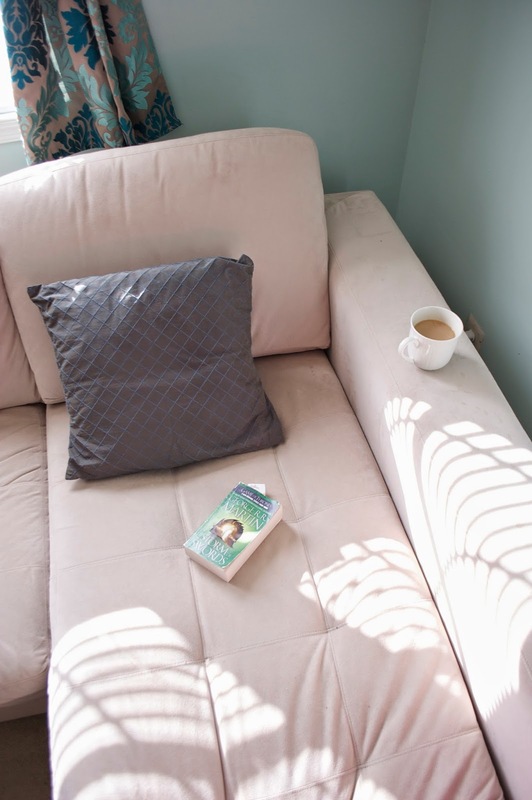 My second favorite way to enjoy a good cup o' joe is curled up on the lounge section of my couch with a good book. I think half of the fun of enjoying coffee is that feeling that is a treat and can make regular activities such as reading or crafting that much more special. Dark & strong! I love a good cup of simple but hardy java :) Thanks for this! I like mine light with a splash of hazelnut creamer. Strong and ICED! I make myself an iced coffee every. single. morning. :) I'm hooked! Not too strong with a flavored creamer & sugar! I take mine black! You gotta love beads and coffee. I love my coffee black to enjoy the full flavor & often! Regular with 3 creams and 2 sugars. I take my coffee with a splash (or two) of milk and a little bit of sugar. I love drinking coffee with just a little hazelnut creamer in it. I usually take it with sugar, hazelnut creamer, and whipped cream-to die for! I am a frou frou coffee drinker all the way!! two creams and 1 sugar. I take my coffee with cream and stevia. I take my coffee light and sweet. Thanks for Coffee Journeys impressive Keep Updating.